That would be a “realistic” question, and we Westerners from the heights of our moral superiority have no time for vulgar “realism” in foreign policy (except the eccentric Ron Paul, crying out in the wilderness of Republican primaries). And who are these rebels? We simply do not know. Someone who may know better than we do is Osama bin Laden’s successor as head of al Qaeda, Ayman al-Zawahiri, who is seen on a video urging Muslims in Turkey and neighboring Arab states to back the Syrian rebels. The story line of dictators killing their own people is intended primarily to justify harsh Western measures against Syria. As in Bosnia, the media are arousing public indignation to force the US government to do what it is in fact already doing: arm Muslim rebels, all in the name of “protecting civilians”. The recent Russian and Chinese veto in the Security Council was a polite attempt to put a brake on this process. The cause of the veto was the determination of the West to push through a resolution that would have demanded withdrawal of Syrian government forces from contested areas without taking into consideration the presence of armed rebel groups poised to take over. 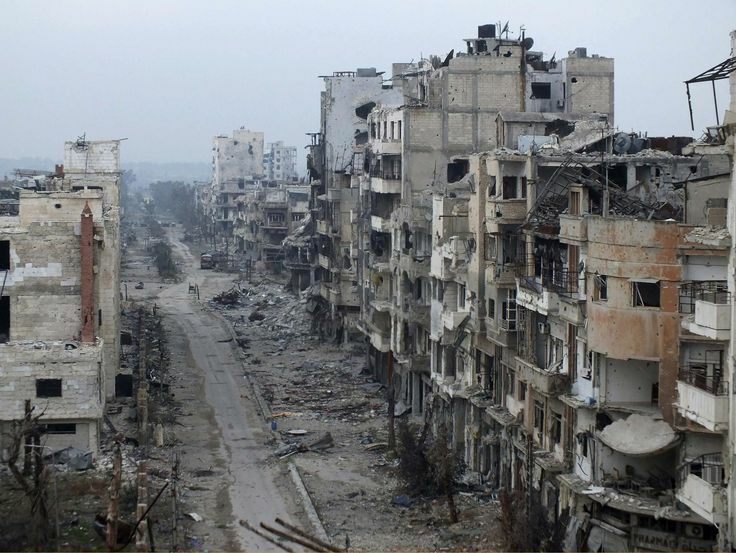 Where the Western resolution called on the Assad regime to “withdraw all Syrian military and armed forces from cities and towns, and return them to their original home barracks”, the Russians wished to add: “in conjunction with the end of attacks by armed groups against State institutions and quarters and towns.” The purpose was to prevent armed groups from taking advantage of the vacuum to occupy evacuated areas (as had happened in similar circumstances in Yugoslavia during the 1990s). Western refusal to rein in armed rebels was followed by the Russian and Chinese veto on Febuary 4. Russia is currently the target of an extraordinary propaganda campaign centered on demonizing Vladimir Putin as he faces an lively campaign for election as President. A prominent New York Times columnist attributed Russian support to Syria to an alleged similarity between Putin and Assad. As we saw in Yugoslavia, a leader elected in free multi-party elections is a “dictator” when his policies displease the West. The pathetically alcoholic Yeltsin was a Western favorite despite shooting at his parliament. The reason was obvious: he was weak and easily manipulated. The reason the West hates Putin is equally and symmetrically obvious: he seems determined to defend his country’s interests against Western pressure. American pundits and cartoonists have totally interiorized their double standards, so that Russia’s comparatively modest arms deliveries to Syria can be denounced as cynical support to dictatorship, whereas gigantic US arms sales to Saudi Arabia and the Gulf States are never seen as relevant to the autocratic nature of those regimes (at most they may be criticized on the totally fictitious grounds of being a threat to Israel). To be “democratic”, Russia is supposed to cooperate in its own subservience to Washington, as the United States pursues construction of a missile shield which would theoretically give it a first-strike nuclear capability against Russia, arms Georgia for a return war against Russia over South Ossetia, and continues to encircle Russia with military bases and hostile alliances.